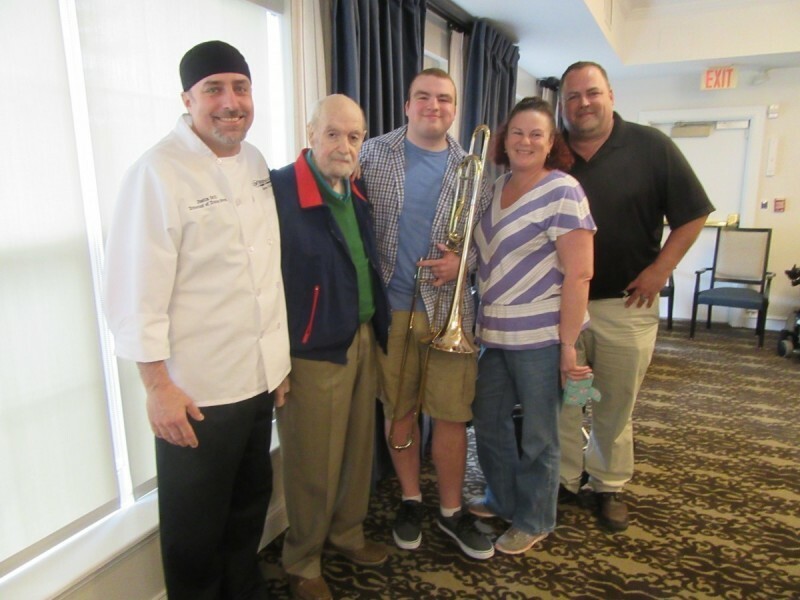 Rockland Place, a Watermark Retirement Community located in Wilmington, DE, recently made a young musician’s dream come true when they presented 18-year-old Zachary M. with his own trombone. Zach was selected as the newest Watermark Kid by Watermark for Kids, a non-profit organization which aims to help local kids thrive. He was recommended to become a Watermark Kid by his Watermark Kids Coach Justin G., Director of Dining. 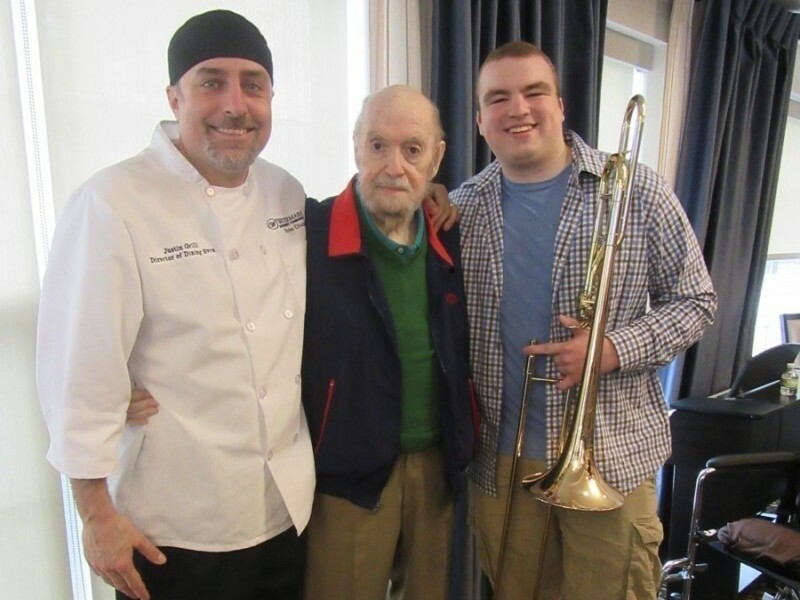 Justin has had a long friendship with Zach’s grandfather and through their numerous visits together they would not only discuss their own personal passions for the culinary world and music, but Zach’s musical talent as well. 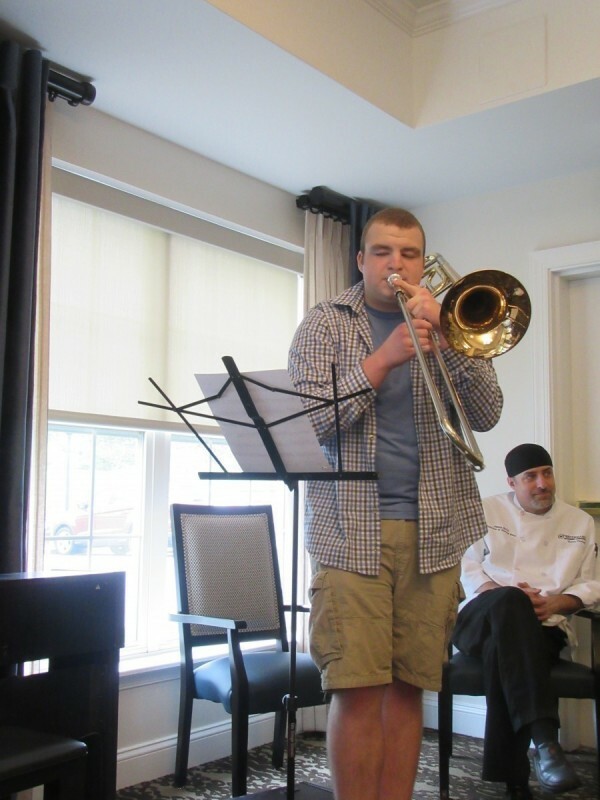 “Zach is an accomplished musician who has also studied theory and music as therapy,” said Justin. 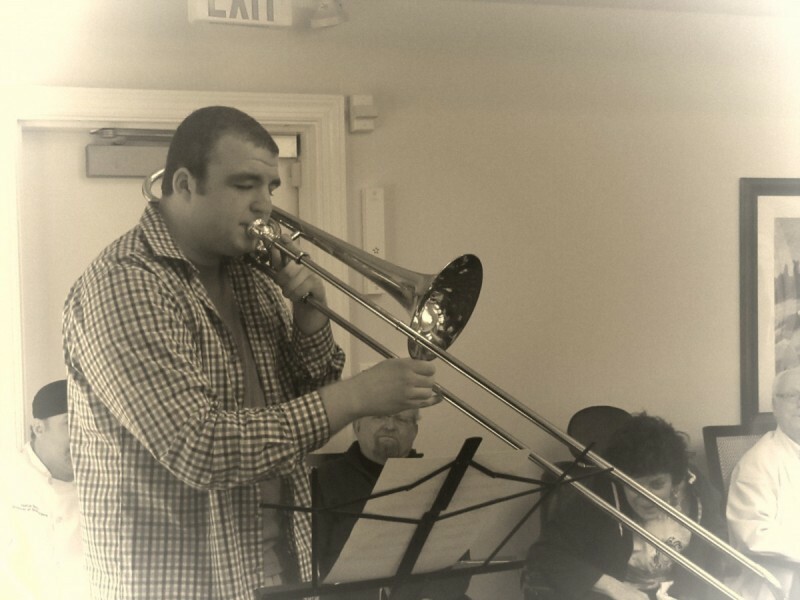 “He performs in his school’s symphonic band, jazz band and marching band, to name a few. 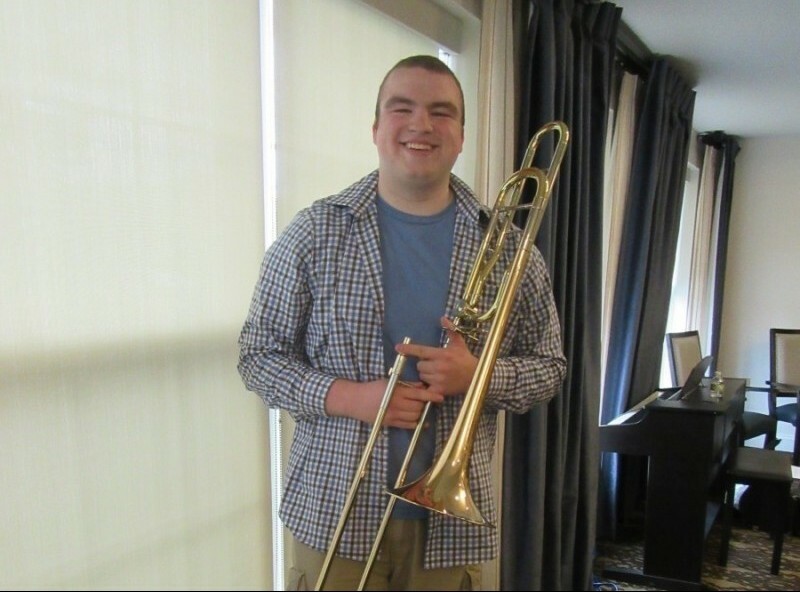 Owning his own instrument will allow him to devote more time to his musical studies.” For seven years, throughout both middle and high school, Zach has been given the opportunity to use school-owned instruments to pursue his passion of playing trombone. 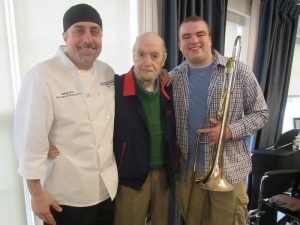 However, as his high school graduation quickly approached, he became worried that he would find himself without a trombone, without a creative outlet and without a significant piece of who he has become. 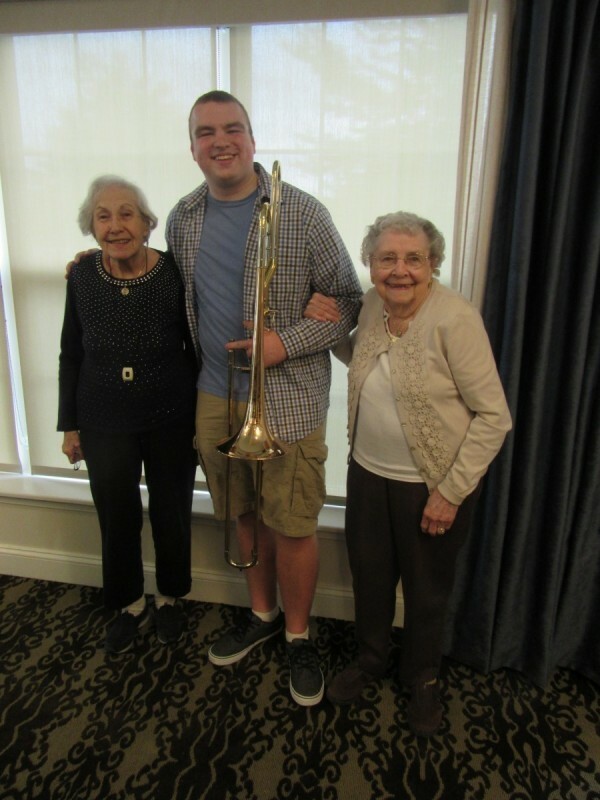 The presentation went perfect and was topped off by Zach showcasing his talent through playing the song Halleluiah for the group – the entire day was heart-warming and uplifting!